If you haven’t pulled your tax return together and sent it into the IRS by now, you’re just about out of time. Monday, April 15, is Tax Day for most Americans. Due to Patriots’ Day holidays on Monday in Maine or Massachusetts, taxpayers in those states have until midnight Wednesday to file. Procrastinators can request a six-month extension to submit their returns, but you only have until midnight Monday to submit taxes owed. 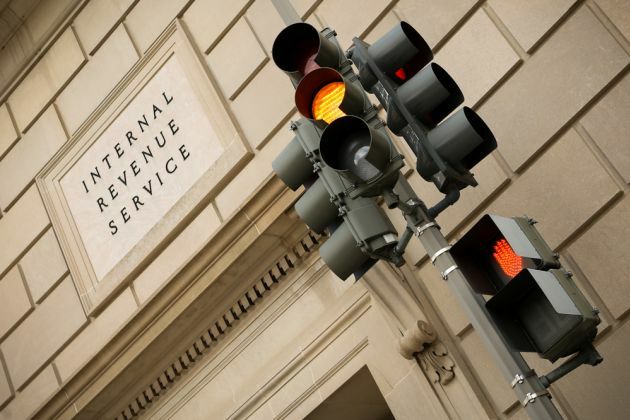 The IRS is expecting to receive about 153 million individual tax returns from 2018 over the course of this year. This season is the first time taxpayers will file under the Tax Cuts and Jobs Act. This overhaul of the tax code roughly doubled the standard deduction to $12,000 for singles ($24,000 for married-filing-jointly), eliminated personal exemptions and limited itemized deductions. Those changes threw taxpayers and accountants for a loop. The more elaborate the return, the longer people waited to submit their paperwork. “In terms of the tax season, this year was one of the worst with the slowness,” said Jeffrey A. Porter, CPA and founder of Porter & Associates in Huntington, West Virginia. “We’re going to have more extensions than we had in the past,” he said. Here’s what you should know in the final hours of tax season. Whether you have a last-minute appointment with your CPA or you have a date with your own tax prep software, you’re going to have a rough time without the right forms and receipts. ﻿Six tax breaks you’ll lose on your 2018 return: Did you write-off a massive property tax bill last year? Maybe you had some property losses you were hoping to deduct. Here’s the bad news: A number of itemized deductions are now out of reach. Save thousands with these credits and deductions your 2018 tax return: Not all deductions are out the window. Here are some valuable opportunities to save on your taxes. Prevent tax return anxiety by following these steps: Need a rundown of the changes to the new tax law and what they mean for your return? Find them here. Whether you got money back from Uncle Sam or you owed him a payment, there’s a lesson to be learned. Failed to withhold enough tax in 2018? The IRS has a nasty surprise for you: New tax law, new income tax withholding system. Some taxpayers didn’t adjust their withholding and paid insufficient tax last year. About 8 million individuals who received a tax refund last year may owe this time: If you received a smaller refund for 2018, it could be because you received more money in your paycheck. IRS giving millions a pass on penalties for 2018 underpayment: Did you pay at least 80 percent of the taxes you owed for 2018? The IRS might let you slide on an underpayment penalty. Five tips to manage that tax debt: Got a hefty balance with the IRS? Here’s how to deal. Here are some savvy moves for that tax refund: Seed that emergency fund, knock out your debt and invest that tax windfall. Don’t wait to file for an extension on your tax return: Sometimes waiting to file is the smartest decision. Don’t stick that completed return in a drawer. Do a side-by-side comparison with 2017′s tax return. What can you do differently? Why getting exactly zero back from the IRS might be a good thing: If you broke even with the IRS, congratulations! Aim to do the same next year. Three reasons why the 2018 tax season is painful – and how to get right for next year: Did you owe this spring? The secret to heading off a mess next year is hidden in your 2018 return. Could charitable giving become a tax law casualty? The tax overhaul has changed the calculus behind charitable donations. Know what the tax consequences are before you give next year. Rev up your calculators: What you need to file your taxes: Review the prior year’s tax return to make sure you’ve accounted for all your income, as well as the forms you’ll need for deductions and credits.